4. 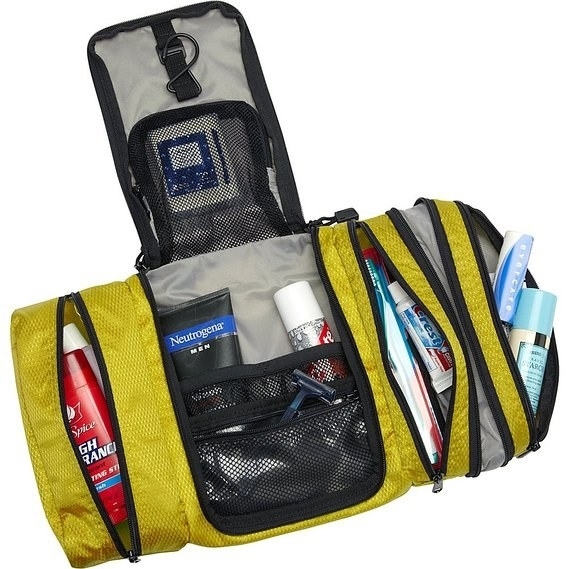 The eBags Pack-It-Flat ($30) toiletry kit is a compact solution for overpackers. It holds a *lot* of items and keeps everything organized. I love that the side-pockets keep liquids in a separate, spill-proof compartment.